If you have floors that just seem prone to accidental spillages and everyday grime, then stain resistant carpets might well be what you’re looking for. Whether it’s red wine, orange juice or crayon, grown-ups, children or pets, a high quality stain-resistant, colour-fast carpet from Avonvale Carpets of Bath will make cleaning up quicker, easier and risk-free. Generally made from naturally stain resistant polypropylene fibre, coated in a stain inhibitor, a carpet that’s labeled as ‘stain resistant’ will help you avoid having to replace carpets prematurely, making it an attractive, cost effective option for many areas of the home. 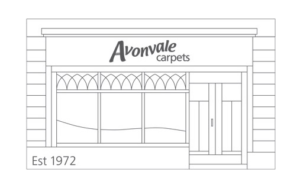 Paul and Jim, the proprietors of Avonvale Carpets cannot be faulted.Excellent service.They have been brilliant.Thoroughly recommended for their quality of work and excellent fitters for a medium range price.